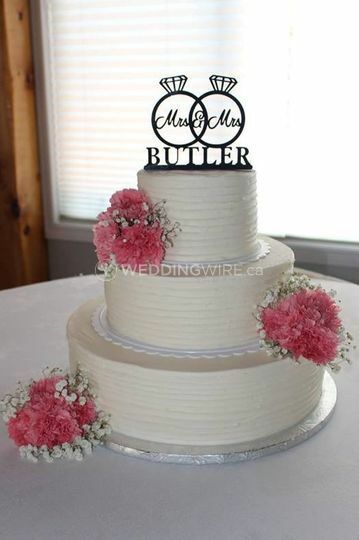 Mitchel's Cake & Dessert Co. ARE YOU A VENDOR? About Mitchel's Cake & Dessert Co.
staff have made Mitchel’s Cake & Dessert Company one of the regions’ top cake professionals. 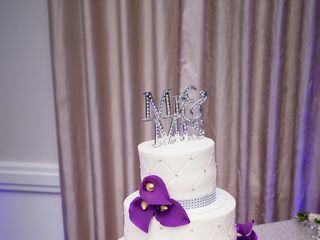 With a unique selection of fillings, buttercream frostings and delicious flavors, Mitchel’s creates desserts that will surely delight you and your guests. 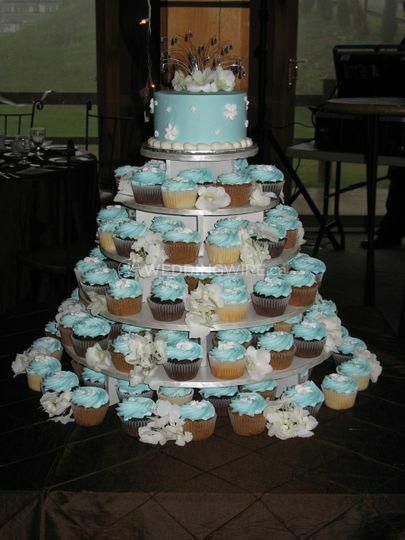 In addition to consultation, delivery, and private tasting services, the products they offer include cakes, cookies, cupcakes and groom's cakes. 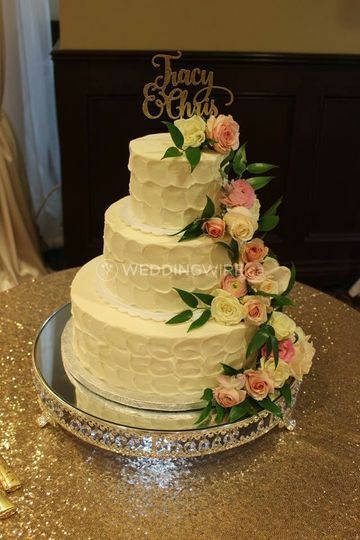 Mitchel’s Cake & Dessert Company is based in Whitby and is the ideal choice for weddings and special events taking place in Oshawa, Whitby, Ajax, Pickering, Toronto, Peterborough, Port Hope, and surrounding areas. 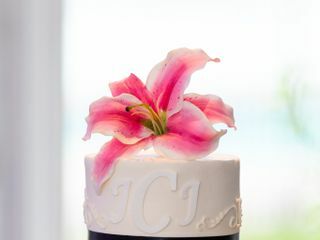 Use the short form on the right to contact Mitchel's Cakes and find out what they can do to help you match your theme, style and budget with a beautiful and delicious cake! More information about Mitchel's Cake & Dessert Co. 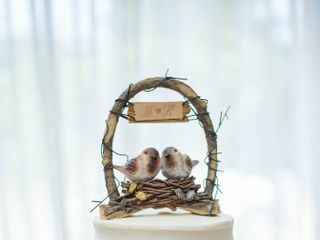 Reviews for Mitchel's Cake & Dessert Co.
Brett worked with us on our vision for our wedding and really made it come to life. He offered many options and his professional opinion. We really enjoy his cakes because they are just the right amount of sweet, they have great flavour and look amazing. Thank you so much for a worry free part of our wedding!! Great that we could work together to bring your vision to reality. 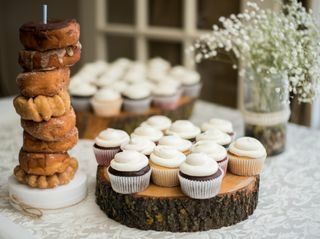 The combination of cupcakes, cake and donuts created a wonderful visual for your dessert table. Mitchel's provided fantastic service and they were easily able to accommodate design changes just 10 days before the wedding. 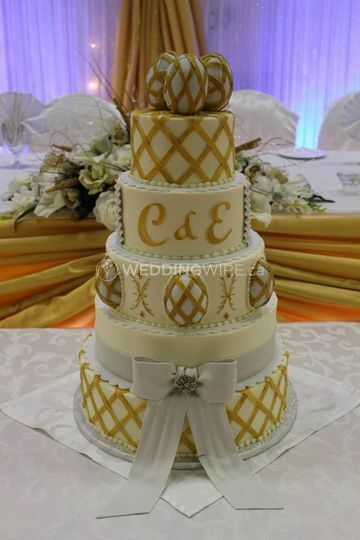 The cake was absolutely delicious (people raved about the lemon flavoured cake with raspberry filling and the buttercream) and the design was beautiful. Mitchel's provides great value too. Much more affordable than Toronto vendors and the quality is the same or higher. 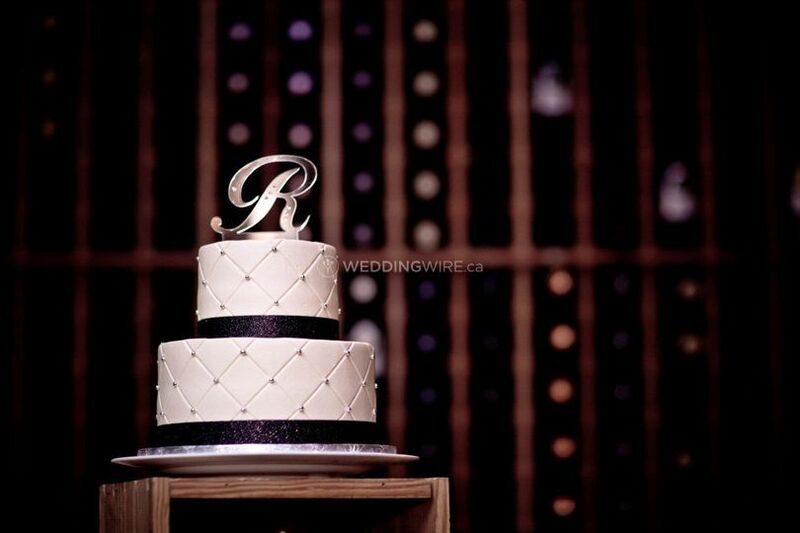 I would totally recommend a wedding cake from Mitchel's. 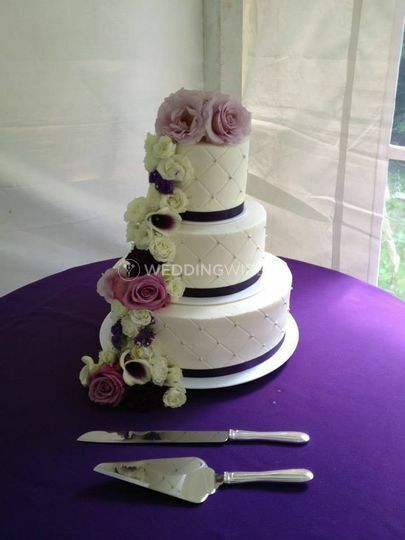 Great to hear your guests enjoyed the cake so much! 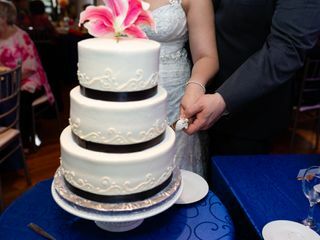 Our goal is to provide excellent service to every one of our clients and provide them with a great looking and great tasting cake. We look forward to working with and thank you for recommending us to other couples. You’re very welcome and great to hear everything went so well. It’s always nice for your guests to have a sweet treat to take home (and based on experience a few probably decided to make it an appetizer). 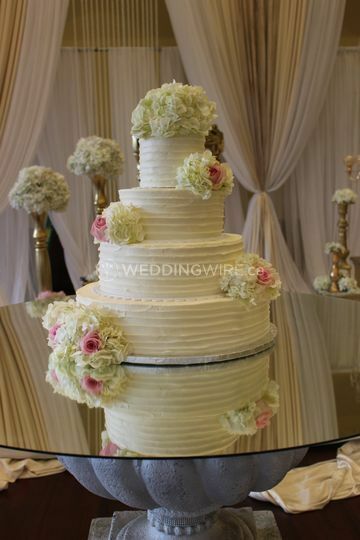 We very much appreciate you recommending us to others and look forward to making the cake for your next event! Mitchel's has amazing flavours! 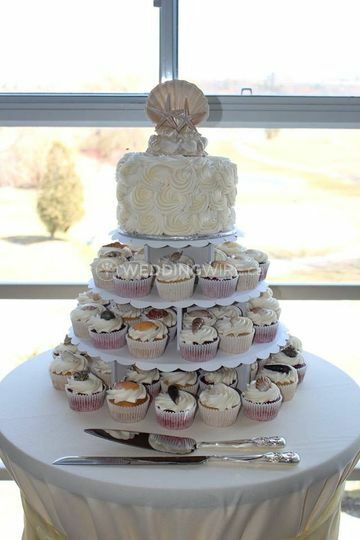 We wanted something different, so our three tiers were vanilla/almond, chocolate/banana and pina colada. We also had a batch of pina colada cupcakes made to take with us on our honeymoon so we could enjoy the cake ourselves. 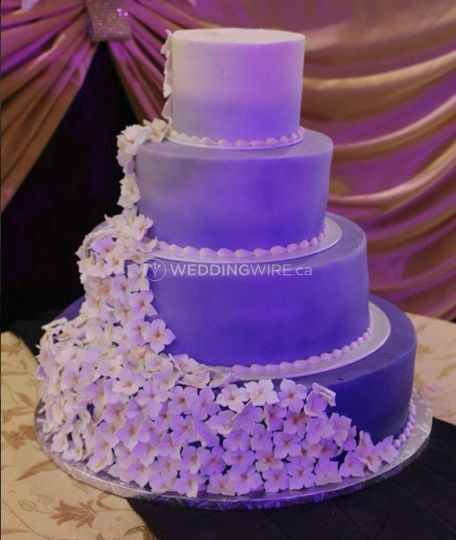 The decorations of the cake were beautiful - they did a design I found off pinterest. The vanilla almond layer is the one we cut during the ceremony - it was a bit crumbly so I would choose a flavour that maybe is a bit more moist - still yummy though! I would consider using them for other special occasion cakes as well! Amazing cake was very accommodating . Very patient as I was very stressed out bride. definitely re-order for a different occasion. Also accommodated a gluten-free option for some my guest . He Accommodated both our traditional families wants as well as My Husband’s and mine more fun side. Icing was amazing cake was moist and fresh. 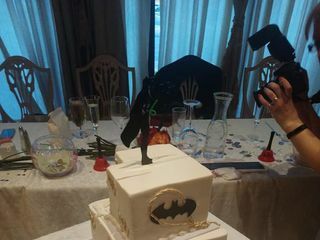 We certainly understand planning a wedding can be stressful (especially when dealing with input from family members) and glad we were able to help the cake part go smoothly. 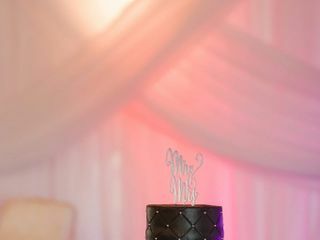 Thanks again and we look forward to making the cake for your next event. Location of Mitchel's Cake & Dessert Co.